How to ensure your new hire actually starts work, and that his or her first days on the job are everything you promised they would be. After months of time consuming recruiting, you at last have hired someone to fill that critical job in your organization. Best of all, the person you hired is ideal. The right experience. The right track record. The right personality. The right goals and work ethic. In two weeks, he or she will be sitting in that office, two doors down. So why do you have this whispering murmur inside your head, like you were Son of Sam? What’s that voice trying to tell you? As unpleasant as it is to admit, you know from experience that your recruitment effort with this person is far from over. Any number of things might happen to spook your candidate. Buyer’s remorse. A counteroffer from his employer. A higher bid from your evil competitor (curse them!). Family problems that could make the candidate suddenly feel like this was “a bad time to change jobs.” A fiancé who announces she has a job opportunity on the other side of town. A chunk of blue ice the shape of Madagascar falls on his head. A million things could happen to thwart your efforts to get that person in your lobby on his start date. And you’ve experienced them all. Well, most of them. Not the blue ice thing yet. But you’ve read about it. If this person does show up for work, be aware that any number other complications may rear their ugly heads. One or more of his expectations won’t be met, possibly game changing expectations. There might be departmental confusion over this person’s role, responsibilities or authority. Someone thinks that part of the new guy’s job is still his or her job. A departmental politician decides to test your guy’s mettle at his first staff meeting. Business priorities suddenly shift, which means this person’s job priorities may need to change, perhaps from the very priorities that originally attracted him to the position in the first place. Few of these are likely to cause anyone to cash in their chips after just a few days or weeks, but they may well make it easier for a newest hire to be lured back to his old employer, or worse yet to your key competitor, after just a few months, leaving you back at Square One. After all your recruitment effort – all that blood, sweat and tears – you need to mitigate your risk. In the weeks preceding your new hire’s arrival, you need to stay in touch with him and orchestrate preparations for his welcome arrival. Fortunately, it is easiest part of the process to conduct and requires the least amount of time on your part. 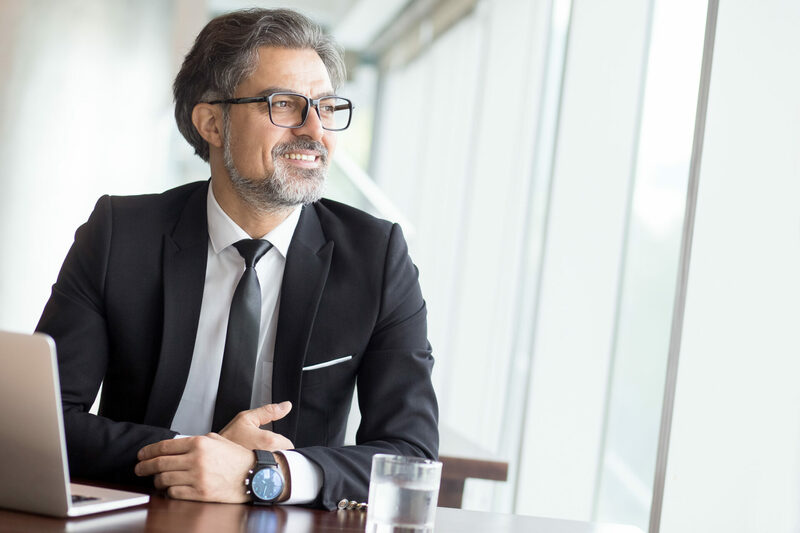 Immediately after your new hire – let’s call him Simon – gives you his formal acceptance, you may need to coach him on how to resign from his current employer. At the very least, you need to learn how Simon intends to resign, because it may tip you to potential problems that you can head off, now. Resigning is an uncomfortable experience. Savvy managers who value good employees will use every conceivable leverage point to get MVP’s to stay: guilt; loyalty to the company, colleagues or even desirable assignments; promises to correct past sins; promises to create new opportunities; and, last but not least, outright bribery in the form of promotion or increased compensation. Every manager, including you, has used these ploys. Often, they are used with all sincere intent to change circumstances so that stars like Simon have no need to leave. But just as often, they are used as stalling techniques to protect the company’s interests. You know it, and you need to make sure that Simon knows it. Ask Simon why his company didn’t offer to make these adjustments before his resignation. Simon also needs to know that according to the National Employers Association, 80% of all people who accept counteroffers are gone, six months later. As soon as Simon accepts your offer, he needs to be reassured that he’s made a positive business decision and that, whatever his relationship with his current employer, he owes it to himself to make a clean exit. Coach him on resigning gracefully. It will make his transition that much easier, and will increase the likelihood that if a counteroffer is made, he will turn it down. Should Simon inform you of a counteroffer, or a surprise offer from a third party, you’ll need to make a judgment call. Is this someone on whom he can be counted when he’s made a commitment? Is this someone you truly want in the organization? Is he worth the trouble? There are no hard answers. Depending on Simon’s value, you may wish to make an accommodation to bridge the gap between his options, hold firm, or wish him well with the other company. The key is to listen well to what Simon has to say, and ask him probing questions to help you qualify the validity or sincerity of his dilemma. Whatever you do, never get into a bidding war. You’ll regret it. Once your candidate has final formal acceptance, there are a number of other reasons to stay in touch with your new hire, if only to keep Simon mindful of the reasons he accepted the job in the first place. Use every excuse to stay in touch. As soon as Simon accepts, send a handwritten note of welcome, or at the very least an email. If you want to knock his socks off, have everyone who interviewed him sign the card. If it is appropriate, and the level of the individual warrants it, send a gift basket of welcome. This is highly effective if the gift is an actual product of your company. A personal touch is the strongest defense against an aggressive counteroffer. Find excuses to make a few phone calls. Consult Simon on decisions you need to make that might affect his area, once he’s on board. Extend an invitation to an upcoming company party, or invite him to an informal dinner or lunch prior to his start date. Get him involved and thinking about project decisions in which he’ll be involved when he starts work. Keep his vision of all to which he has looked forward burning bright. The first two weeks on the job will set a tone for your new employee that might last for years. Indeed, a sound onboarding process may mean the difference in whether even the most capable A-player will be accepted by the corporate culture. The first 90 days requires a great deal of forethought and planning. At a minimum, however, what simple preparations on your part can lay out the welcome mat? Before Simon arrives, publicize his hiring so that everyone in your company knows about him in advance. Make sure that receptionists knows his name, title, department and extension; that his computer, mobile phone, email and systems privileges are pre-established; and that his office space is cleaned and ready for its new tenant. Have business cards printed and ready. Wow your new star with thoroughness and efficiency. No less important is your need to articulate and publicize Simon’s role, responsibilities and level of authority to clients and staff. Your publicly acclaimed celebration of his arrival, both in writing and in face to face encounters, may prove critical to his success. Prearrange a number of relevant meetings for your new hire that will take place during the first two weeks. These should include “get acquainted” meetings or project meetings with senior executives, peers, clients, and even key vendors. The faster and deeper you plunge this MVP into a highly visible role – and demonstrate your visible support for his success – the greater credibility you will bestow upon him and thereby increase his chances of success. Last, but not least, sit down on that first day and collaboratively work out your new hire’s goals, objectives and performance measurements. Not only are you laying a foundation for a healthy working relationship, you are demonstrating just how you want your new star to treat all of his new hires in the future. It embodies cultural wellness, and perpetuates smart recruiting and retention for the future.